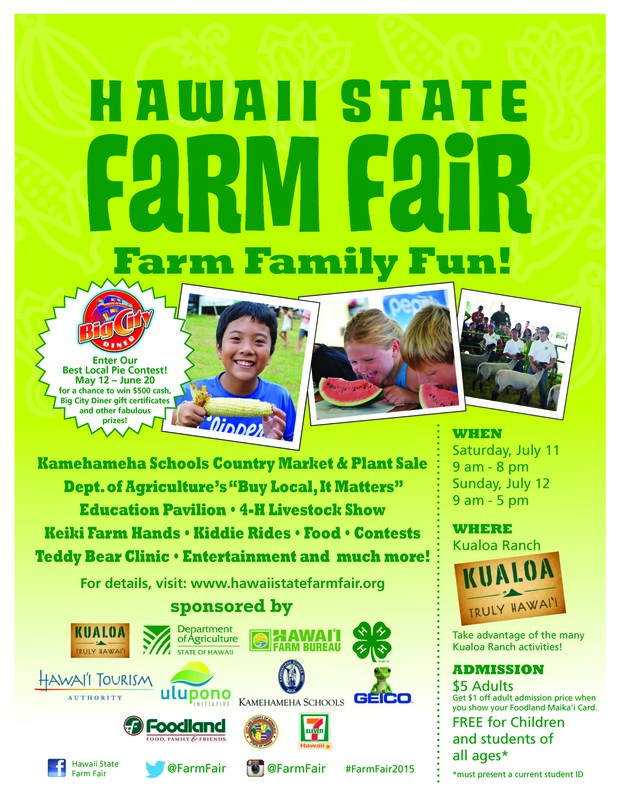 Department of Agriculture | Hawaii State Farm Fair – July 11 & 12!!! Home » Main » Hawaii State Farm Fair – July 11 & 12!!! Hawaii State Farm Fair – July 11 & 12!!! 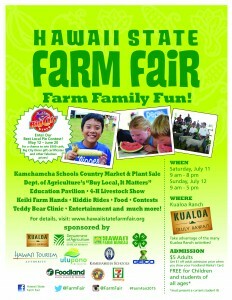 Kualoa Ranch is the site again for this year’s Hawaii State Farm Fair!!! Saturday, July 11 – 9:00 a.m. to 8:00 p.m.
Sunday July 12 – 9:00 a.m. to 5:00 p.m. Admission is $5 for adults and free for all students with ID.